Houzz Australian Contributor: I am a content creator with a background in architecture and construction management, passionate about design, sustainable lifestyles, and storytelling. I am fascinated with how personalities inform the creation of space and make a place feel like 'home'. A lover of all things natural since she was a small girl in New Zealand, Julia deVille’s calling came to light when she began studying jewellery and taxidermy at the same time. Her combined precious jewellery and taxidermy pieces generate thought and discussion about the way society treats animals. “I am not trying to turn people vegan, but I want people to make informed decisions based on the information that is often hidden from us, so I try to do beautiful pieces that maybe have a bit of a sense of humour behind them as well,” deVille says. Her jewellery line, under the label Disce Mori, embodies the traditions of mourning jewellery and memento mori jewellery, fashionable during the Victorian Era, as symbolic reminders of the fragility and preciousness of life. The pieces are made from jet (petrified wood) beads, sterling silver, and gemstones. 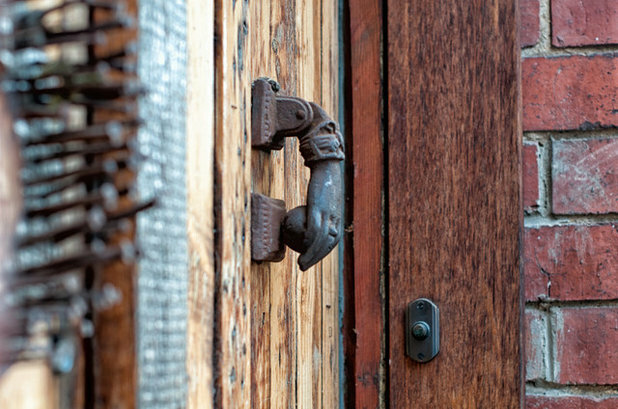 Unique cast metal hardware on the weathered front door of the warehouse represents the intrigue lurking within deVille’s home studio. 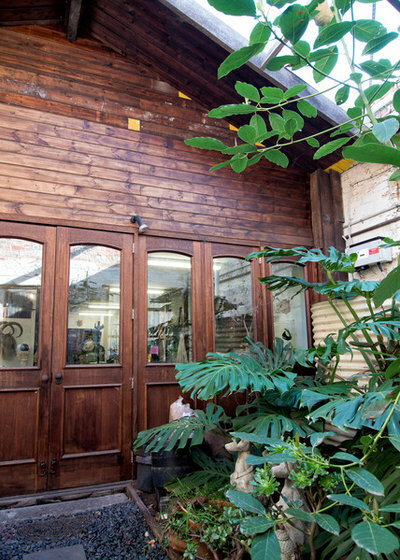 The property extends through to the alleyway, with the front section housing the jewellery design and production studio. The heritage building has a long history in production and the creative arts – it was previously owned by a sculptor, and once also served as a button factory. 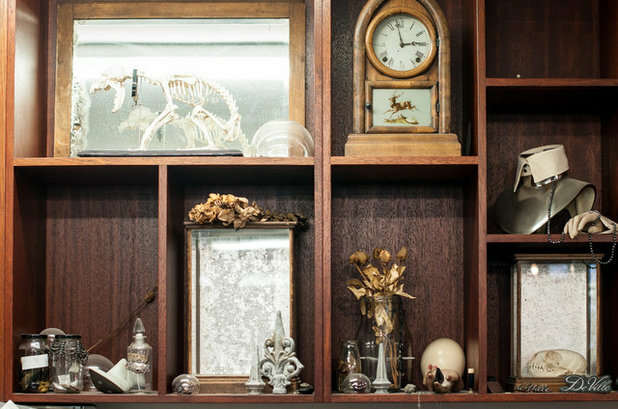 While enrolled in a jewellery course at NMIT, deVille met her taxidermy mentor and naturally blended her two loves. 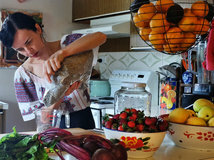 A vegetarian since the age of nine and more recently vegan, her work is inspired by nature, science, and animal rights. She is given all the animals she works with through friends, acquaintances and farmers, and recently won the 2016 Waterhouse Natural Science Art Prize. DeVille moved into her current space from a studio housed in a two-car garage that had very little access to natural light. 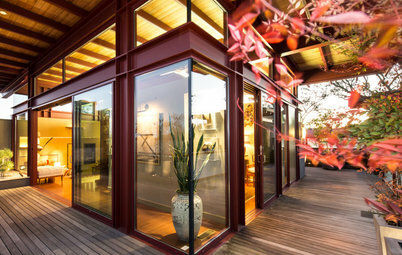 The new studio has a wall of windows and views into a well-lit courtyard filled with greenery. Plans are in progress to use the help of landscape designers to reshape the courtyard into a paved patio, with seating for employee lunch breaks and planter boxes filled with edibles for everyone to enjoy. Disce Mori gained momentum with deVille taking on all creative, business, and production roles. 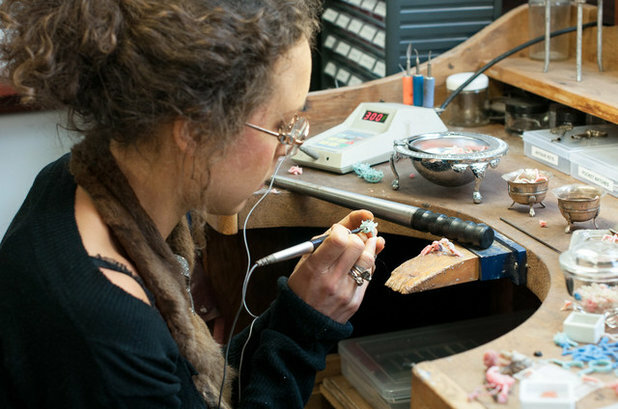 When she first moved here in 2007, another jeweller had just started working with her. From there the studio grew organically to include two jewellers, a studio manager, an admin person, a graphic designer and two interns. At first, deVille had people in every day of the week, but found it hard to get anything done. 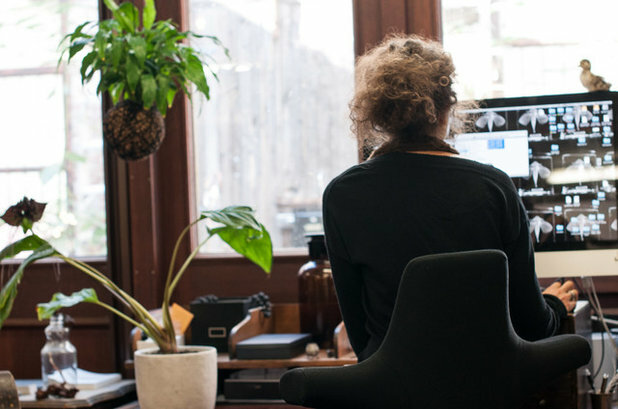 She now shuts down the studio on Mondays and Wednesdays, providing her with time to, as she says, “have quiet, to get my own stuff done and to be creative and to write in peace,” she says. 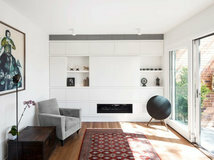 Favourite features of the space include the ceiling rose and chandelier her father salvaged from a building site. “I have a policy to hire people who are better than me. I find jewellers who have 15 years experience, so if I can’t do something I have people here who can,” says deVille. Everything is handmade and unique. Her jewellery line offers a range of options, and people can order a piece that is similar to an existing design or she can do amalgamations of different styles or something completely new. DeVille’s preparations to launch an online shop entail spending many hours in front of the computer entering data. 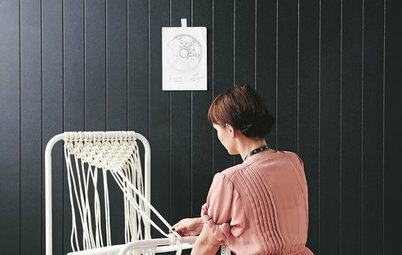 A yoga instructor introduced her to a HÅG desk chair that can be used standing, sitting, or leaning into it front or back, allowing for changes in position, joint relief, and blood circulation. “I have produced exhibitions for the National Gallery of Victoria, MONA, The Art Gallery of South Australia and many more in this space. 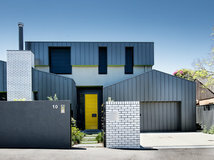 The volume of work that has been produced here is vast,” the designer explains. 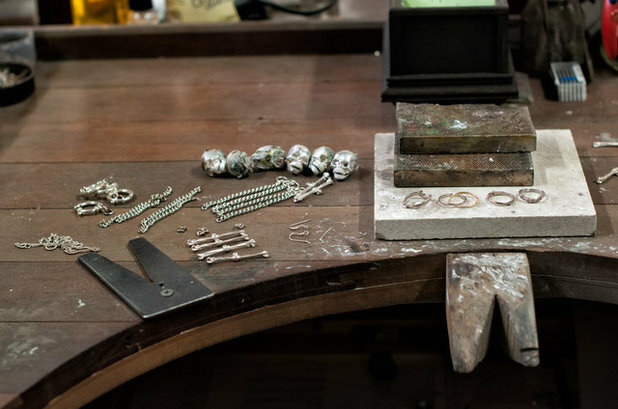 At her jeweller’s work desk, deVille shapes rings with wax. To create her one-off pieces, she first selects the stones for a ring – either from her own collection of stones, from gem merchants, or she uses heirloom stones supplied by the client. 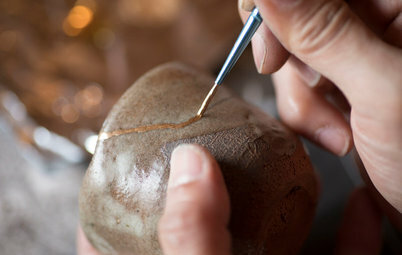 She then organically builds the ring in wax around the stones, without the aid of drawings or designs. The finished wax ring is turned into precious metal through a lost wax casting process. The ring is then cleaned up and altered by her in-house jewellers, before being collected by her stone setter for the installation of the gemstones. One last cleaning readies the piece for viewing by the client. DeVille had very little time to fit out the space before moving in. 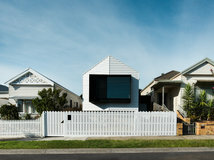 Her father, a retired builder living in New Zealand, worked with his cabinetmakers to build the joinery. He brought both the cabinets and the makers over to Melbourne for the installation. 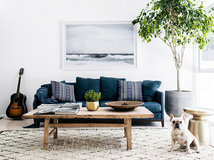 Included in the shipment were many pieces of antique heirloom furnishings that have taken up residency throughout the studio and the living spaces. The designer’s latest creative exploration is into the art of holography. These two pieces are experiments; the finished artworks will be made in a lab and lit so they can be viewed at all times. 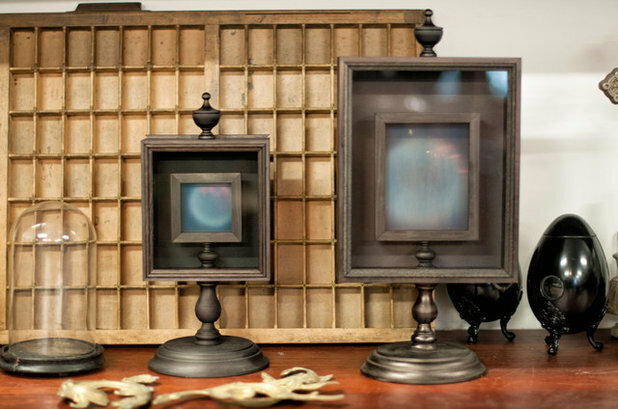 DeVille loves the contrast of a new modern fluorescent technology housed in an antique-style frame. 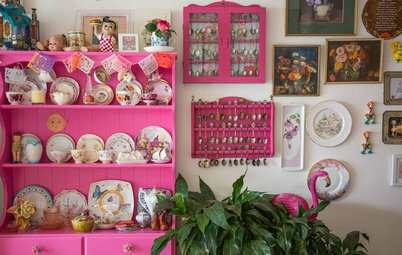 She uses the same local carpenter to make all of her display cabinets and her frames. A photo machine in the studio awaits an operator, with a 360-degree camera that spins jewellery pieces around and zooms in for detail. Eventually all of her photography will take place in-house. 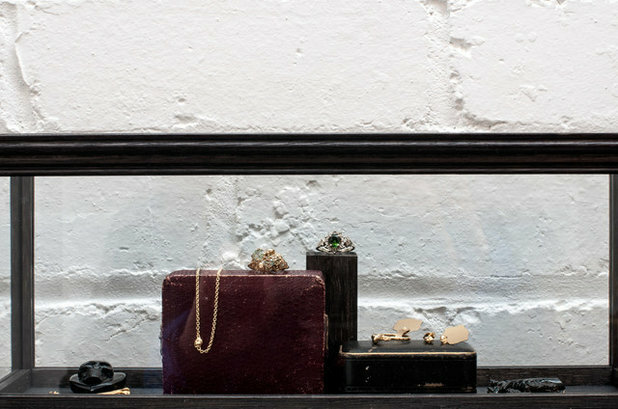 Displays in the studio are arranged with precision and intention. 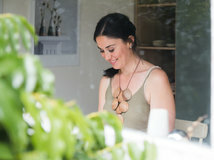 DeVille is renowned for her gallery installations exhibiting her sculptures alongside or supported on Victorian antiques. 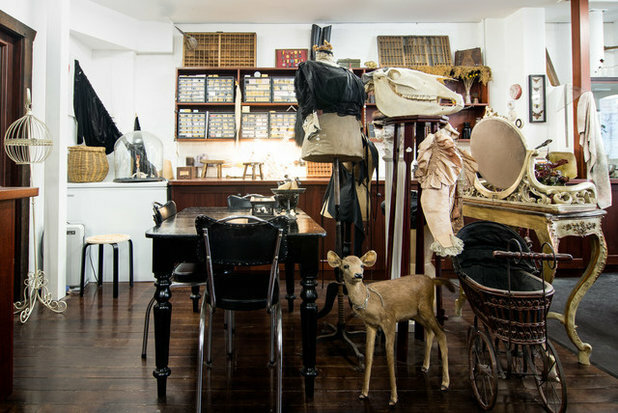 A lunch table for the employees is surrounded by a display of Victorian mannequins and antiques. 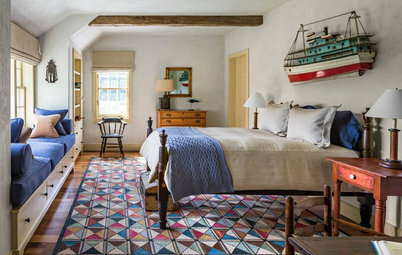 DeVille describes her decorating style as, “eclectic, Victorian, and antique. 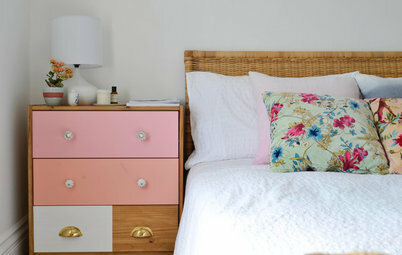 Everything in the space I have arranged – it is my personality as a room,” she says. 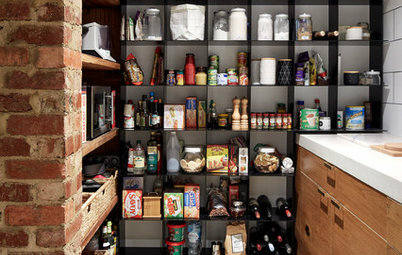 Old printmaker’s drawers, open cabinets, and antique catalogue files decorate the benchtops and walls. 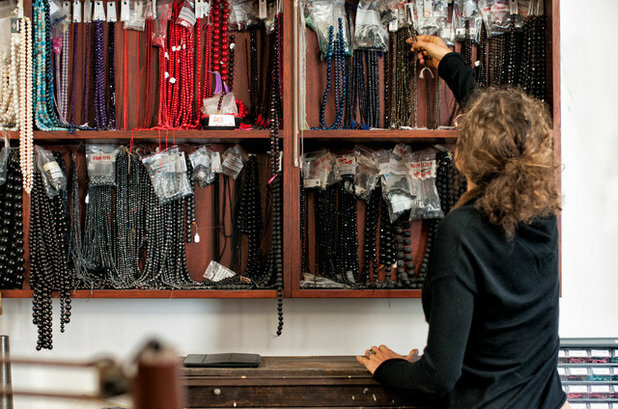 Beads, wax moulds, gemstones, feathers, dried flowers, and antique silver relics line the shelves. Everything in view evokes curiosity and invites inspection. 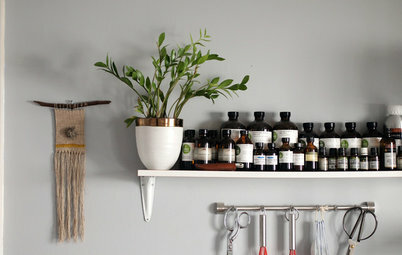 DeVille loves this space, “because I am surrounded by beautiful things,” she says. A storage room was recently transformed into a gallery space and meeting room, providing the studio with a dedicated space to meet privately with clients for precious work and custom commissions. “If someone is coming to get an engagement ring or wedding band it is an important purchase and it can feel quite uncomfortable when you have seven people watching you go through that process,” says deVille. This room provides some privacy for those clients who need it. What do you think about this creative in her space? Let us know in the Comments section. 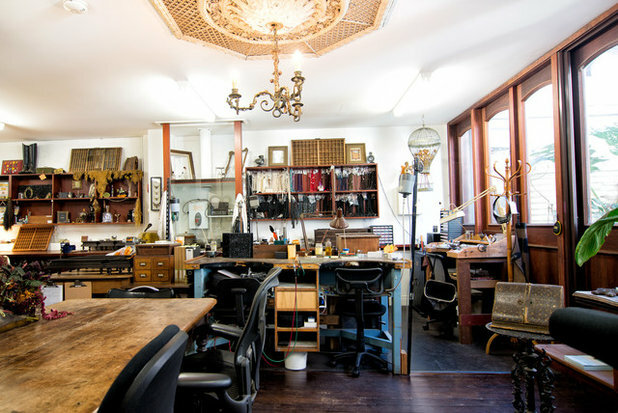 What a wonderful space filled with interesting things, makes me want to explore!